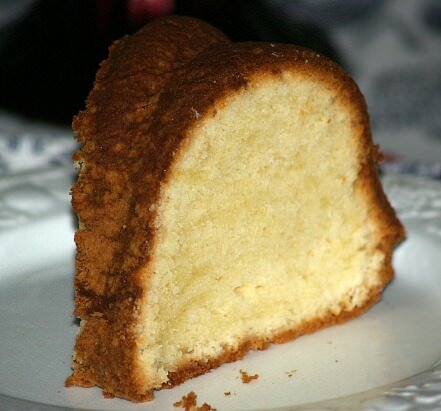 The history of pound cake dates back to the 1700’s and was an English creation. The traditional pound cake started with a pound of butter, a pound of flour, a pound of sugar and a pound of cracked open eggs. Today many countries have their own version of a pound cake recipe. Today here in the United States we have many pound cake recipes made with a great variety of ingredients. The history of pound cake tells us that now any cake with equal proportions of eggs, flour, sugar and shortening, even if the proportions are smaller, is considered a pound cake. After 1900, many started to add leavenings, baking soda or baking powder, to make lighter versions of the pound cake recipes. Some add different flavors like vanilla or almond to change the taste of the cake. But all this variety only make the history of pound cake more interesting. Many countries got in on the act of creating their own pound cake recipes throughout the history of pound cake. Lemon juice and chocolate are popular ingredients to vary the flavor of pound cakes. Other ingredients such as dried fruit, especially raisins and cherries are added in some countries to change the flavor and texture. The Columbians are known to drench their pound cake recipes with wine and top with cream which are famous during their celebrations. Unlike our early history of pound cake simple making, modern pound cake tips learned over the years are invaluable. Below are some which might come in handy for the large variety of ingredients used in our newer recipes. 1. Remove from refrigerator the butter, margarine (Always the solid type), eggs (Always large size), cream cheese, sour cream etc. about 30 minutes before mixing. Fats should be firm but soft enough to blend. 2. Electric mixers can cause us to over beat, unlike in our past history of pound cake. Do not over mix. Generally speaking, plan about 2 minutes to cream fats, another 5 minutes after adding sugar and only enough to blend in dry ingredients. Light beating helps these heavy cakes to rise. Air gets trapped in the butter and shortening, sugar and egg yolks adding to the rising process. Heavy beating eliminates this air. 4. Unlike our past history of pound cake, we now have choices as to how to bake them. Usually pound cakes are baked in slow ovens for longer periods of time; ovens with the temperature set at 300F degrees or 325F degrees. Most of the time recipes require the cake be placed in the bottom THIRD of the oven. Occasionally, I have found these cakes to do better at these low temperatures to be baked on the bottom shelf of the oven. Some pound cakes are baked at 350F degrees like so many other types of cakes. Unlike through our history of pound cake, many of our newer versions contain ingredients like cream cheese. This is a heavier moister version. Remove butter, cream cheese and eggs from refrigerator about 30 minutes before mixing. PREHEAT OVEN to 325F degrees; grease and lightly flour a large Bundt cake pan. Beat in the salt and vanilla; add eggs one at a time beating after each. STIR IN FLOUR until blended; pour into prepared pan. 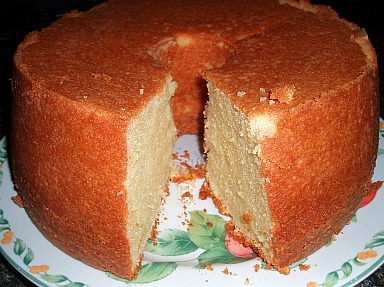 Bake for 1 ½ hours; cake begins to shrink from sides and pick comes out clean. Preheat oven to 250F degrees (Very slow oven). Line tube pan with 2 THICKNESS OF BROWN PAPER; butter paper and set aside. Beat egg yolks until thick and lemon colored; set aside. Beat egg whites (WITH CLEAN BEATERS) until stiff peaks form; set aside. Cream butter adding sugar gradually; add beaten egg yolks. Sift flour and baking powder together; gradually add to creamed mixture. Beat vigorously for 5 minutes; fold in beaten egg whites. Put batter in prepared pan; bake 1 ½ to 2 hours until pick comes out clean. NOTE: If cake begins to over brown cover lightly with a piece of the brown paper. 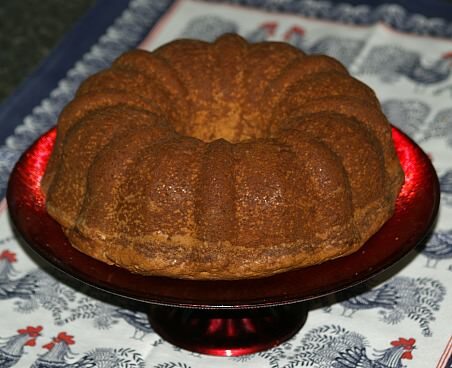 From our history of pound cake, try this 125 year old recipe; so delicious. Cream butter, shortening and sugar together; add eggs one at a time beating after each. Sift together flour and baking powder; add to creamed mixture alternately with milk. Mix batter thoroughly; fold in black walnuts. Pour batter into prepared pan; bake 1 hour and 20 minutes until pick comes out clean. TO MAKE CAKE preheat oven to 325; grease and lightly flour tube pan. Combine and blend in mixing bowl the sugar, oil, pineapple and egg yolks. Blend in flour, cinnamon and water; beat egg whites until stiff and fold in batter. Pour batter into prepared pan; bake 1 hour and 10 minutes until pick comes out clean. TO MAKE GLAZE mix sugar with enough pineapple to make glaze consistency. Pour glaze over warm cake. Preheat oven to 325F degrees; grease and lightly flour tube pan. Cream butter, sugar and margarine; add eggs one at a time beating after each. Mix baking powder with flour; add to creamed mixture alternating with milk. Blend lemon extract into batter; pour into prepared pan. Bake 1 ¼ hours to 1 ½ hours until pick comes out clean. Cool 10 minutes in pan; remove from pan and cool completely. TO MAKE FROSTING blend butter, sugar and lemon juice until smooth. Sift flour, measure again; add cocoa and baking powder and sift 2 times. Add milk alternating with dry ingredients into creamed mixture. Spoon batter into prepared pan and bake 80 to 90 minutes or until pick comes out clean. This wonderful chocolate pound cake is a great addition in the history of pound cake!